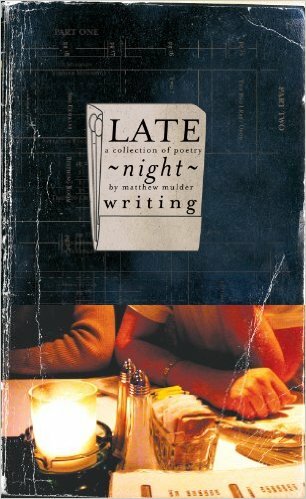 Title poem by Matthew Mulder from the book Late Night Writing. An excerpt of “Always Departing” by Matthew Mulder from the anthology Rooftop Poets. “Prairie Constellations” by Matthew Mulder from the book Late Night Writing. This crude sketch is quite popular. A reader commented recently how the layout template helped his poetry book project. The web site Moving Writers posted “A Collaborative Writing Study That Will Rock Your Students’ World: Children’s Literature” and linked to my rough layout template. The origin of the drawing began at a local meet-up of illustrators and artists. The topic of children’s books came up. Several of the artists felt intimidated by the idea of creating a children’s book. As well they should. But it is not a path of labyrinthian impossibility. The big question is how to do it. At the time, I was a creative director for an international publishing company and had designed children’s books — specifically, picture books. Several artists that night asked to take a photo of this sketch of an anatomy of a children’s book with their smart phones. Since then, several readers have expressed similar interest. So, I share this sketch again. Like all recipes, what you do with the ingredients (i.e. text, words and pages) is up to the artist and writer. And, like any good disclaimer, results do very. Moving Writers, accessed June 20, 2016 https://movingwriters.org/. Allison Marchetti, “A Collaborative Writing Study That Will Rock Your Students’ World: Children’s Literature,” movingwriters.org, May 30, 2016, accessed June 20, 2016 https://movingwriters.org/2016/05/30/a-collaborative-writing-study-that-will-rock-your-students-world-childrens-literature/. Fear motivates. The paralyzing fear that if I mess up the coloring of this book cover art, I will have to start the whole process over again. And the completion date is fast approaching. But the task needs to be done. So, onward. Watercolor washes begin the color process for the book cover illustration. Paint to the edges and then let the colors bleed. The basic color palette had already been determined weeks prior to the final execution of the cover art. But once the water and pigment are activated on the surface of the paper, the color palette organically builds to its own organized spontaneity. Details. There are always small details that many casual observers may not detect at first glance. For example, the color for the shotgun shell includes multiple wash layers of different pigments — each layer pulling or pushing color from previous layer. Once the final art is approved, I finished the design with title bar and a map overlay to texture the collage art.